KeyPoint Technologies is a pioneer in mobile keyboard technology. It uses artificial intelligence (AI), natural language processing (NLP) and machine learning (ML) to predict what humans want even before they want it. Even before they can type the letters of the word on the qwerty keyboard, or even before they can even form the word in their minds, it discovers what one is exactly looking for. Its flagship product, Xploree AI Keyboard, is a smart mobile keyboard app that doubles up as a smart discovery platform. 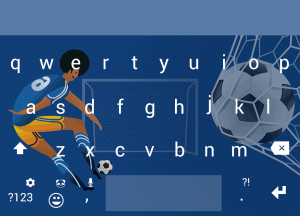 The keyboard understands conversations, searches, languages and identifies the user’s intent, preferences, interests to map the derived intent stack to a stream of relevant discoveries. It allows users to receive relevant recommendations and content while they chat, search, browse apps, etc. and supports 200+ languages including 28 Indic languages. The Xploree app not only does this but also lets users in India get native next word prediction on the keyboard when they use English but to type out words in their mother tongue. For example – Hinglish, Banglish, Tamlish, Kanglish. Xploree follows a strict EULA & data privacy policies and does not capture, store or map users’ data. The only data thread that hits the servers is the context and even that dies with the closing of the keyboard session.